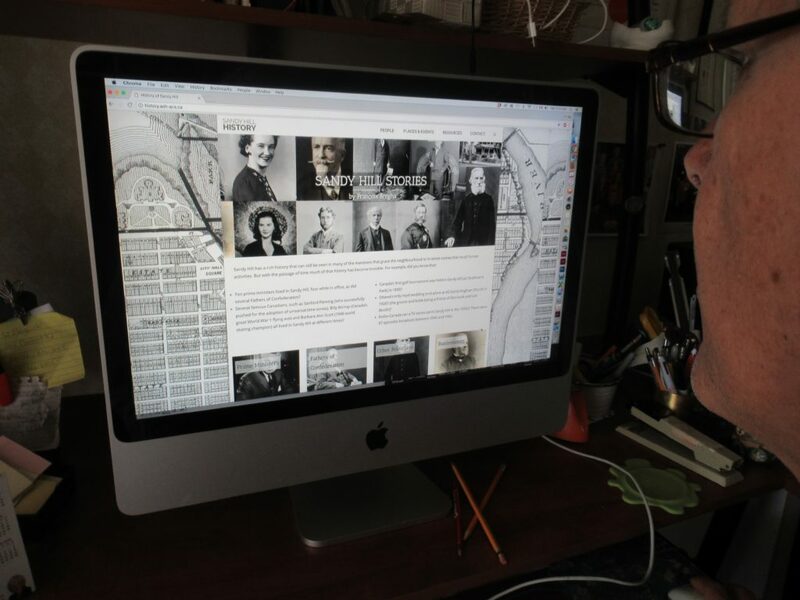 It’s easy to browse the site, dipping into the lives of people in one of the eight categories Mr. Bregha has conveniently divided his subjects into: prime ministers, Fathers of Confederation, other politicians, activists, businessmen, civil servants, writers, and other notables. He has also written nine articles about places of general historic interest and three about tragic events that have marked our neighbourhood’s history. The “Places and Events” section is where you can read about the first Canadian amateur golf championship which was held in Strathcona Park in 1895, and about the sewer explosions in 1929 and 1931 that blew off manhole covers and sent a young lad who was skiing down Somerset East (!) flying into the air. Spoiler alert: he came down unhurt in a snowbank. This is the kind of anecdote that delights Mr. Bregha. With just a few paragraphs allotted for each entry, his aim is not to write a complete history of the individual or the place, but rather to give readers a flavour of the person and the times. You’ll find an example of this perspective in his article about Prime Minister John Turner, who spent his childhood years in Sandy Hill, most of them in a house at 434 Daly Avenue. Repeating a story he found in Turner’s autobiography, Mr. Bregha paints a picture of Turner as a young boy sharing a bench in Strathcona Park with then Prime Minister Mackenzie King, both of them resting while out walking their dogs. Think of that scene next time you’re walking on the path along the Rideau River! Biographies and autobiographies were easy to find for former Sandy Hill residents who were prime ministers, but the hunt for other stories often proved more arduous. “I started with the sources I had,” says Mr. Bregha, “like articles in IMAGE and earlier neighbourhood walking tour guides. I also used the Ottawa Public Library’s Ottawa Room and archives of the now defunct newspaper, The Ottawa Journal, that are online and searchable.” The city directories on microfilm were a precious reference to determine who lived at what address when. The archives of the Soeurs grises and the Ottawa Jewish archives also supplied important background material; the City of Ottawa archives were the source of many of the photos, particularly of houses that have since disappeared from the neighbourhood. Mr. Bregha is particularly pleased to describe how he tracked down an obscure but moving story about the progress of the 1918 Spanish Flu epidemic on the Ottawa campus. “I found a reference in a newspaper article to a temporary hospital at the corner of Cumberland and Laurier. Michel Prévost, chief archivist for the University of Ottawa, recommended that I look in the archives of the Oblate Fathers, which are now located in Richelieu, Québec,” Mr. Bregha recounts. “I made an appointment to stop there when on vacation and found the records written at the time day-by-day by an Oblate priest. 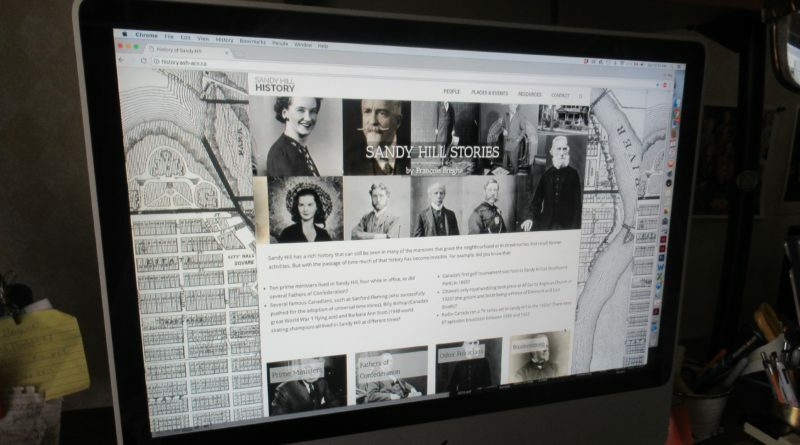 One can feel his uncertainty and anxiety as the crisis unfolded over the five weeks during which the terrible malady disrupted life in the city.” Now other amateur historians don’t need to go to Richelieu to read the priest’s words; a visit to the History in Sandy Hill site brings this episode vividly to life. If you too are curious about the lives of people in the past, you’re sure to enjoy reading about our local history at www.ash-acs.ca/history. You might also enjoy taking a walk led by the website’s author. François Bregha will be leading a walking tour of Sandy Hill West, based on his research, on July 19 in English and July 22 in French. For details go to the Heritage Ottawa site: https://heritageottawa.org/heritage-ottawa-walking-tours.